Sandeep Das the writer of Yours Sarcastically, which encapsulates the wry and interesting adventures of Nikhil through B-School and life, in an exclusive interview with Indiaplaza, talks to Literary Analyst Kirtana Krishnan, about Sachin Tendulkar, Politics and his new release. Kirtana.K- Tell us a little about Yours Sarcastically and what motivated you to write this book. 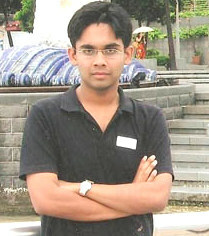 Sandeep Das- One day my manager told me, “Your job is to interview 60 size zero South Bombay women over the next few days. Take them out for dinner if you think they are not opening up adequately during your interviews.” I found the assignment so interesting and different and I decided to write a book on it. K.K- Why is there this trend for IIM/IIT grads to start writing? Serious readers cringe at the thought another one looking for easy fame-with no writing skills to boot. S.D- I think it is a little unfair to assume that all IIM/IIT grads take to writing to earn their 20 seconds of fame. Most of these grads make an honest attempt to produce entertainers based on the uniqueness of their experiences. A lot of them have written articles for the press or for their institutes or maintain well appreciated blogs before they take the plunge into producing a full-fledged book. More importantly, some of them have been extremely smart to identify the need for simple, entertaining, well-crafted books and have been extensively catering to it. K.K- What do you think of the education system in India. Not to mention its obsession with degrees and titles that are grandly mentioned even in wedding invitation cards. S.D- The education system in India has its own set of advantages and disadvantages. The fact that IIT and IIM grads have done so well the world over speaks volumes about the quality of these institutes. However, there are some fundamental issues at primary and secondary education level that need to be sorted out for holistic, quality, affordable education to be meted out to everyone. K.K- If you could hold any political office for twenty four hours, what would it be and why? S.D- I still think politics is a noble field that involves a lot of responsibility as you are responsible for millions of people. I don’t think that I have the ability to bring about substantial impact in any political office and hence would completely stay about it. K.K- Do you like sports? What do you think of Sachin’s foray in politics? S.I am an avid follower of tennis, cricket and squash. I was a little surprised with Sachin’s decision to enter politics. I think his political journey is going to be more nomenclature rather than anything else. K.K- More and more youngsters now are looking to start up on their ownfirm without the pre-requisite corporate experience. What advice do you have for them? S.D- There is no right age to start a firm. People have been extremely successful whether they have started out in their 20s, 30s or their 40s. The only thing about starting your own venture is to be passionate and realistic at the same time. It is only with immense passion that a birth of such an entity takes place. However, it is important to be realistic while running such a firm and not be driven only by emotion. K.K- Who are your favorite authors? S.D- I enjoy a wide gamut of authors across genres. Specifically, I enjoy the work of Gregory David Roberts, Richard Dawkins,Vikram Seth and William Dalrymple amongst many others. K.K- On a cheeky note- I’m sure the male readers want to know if you are still in touch with the Size Zero South Bombay Women. S.D- Very much. But that is something I am not going to share that easily. K.K- You have your email id printed in the book . Any weird solicitations ? 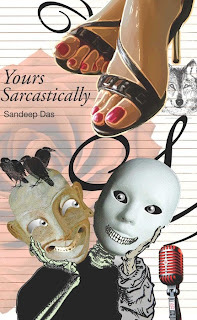 None so far but am hoping to get some genuine reactions from my readers on what they thought about “Yours Sarcastically”, what they liked and what can be improved about the book. K.K - Will you be writing another book? You appear to have travelled extensively across India so what isyour current city of residence? S.D- I have a sequel to “Yours Sarcastically” in mind. I am not sure when I will be writing that though and I alternate my residence between Bangalore, Bombay and Calcutta.